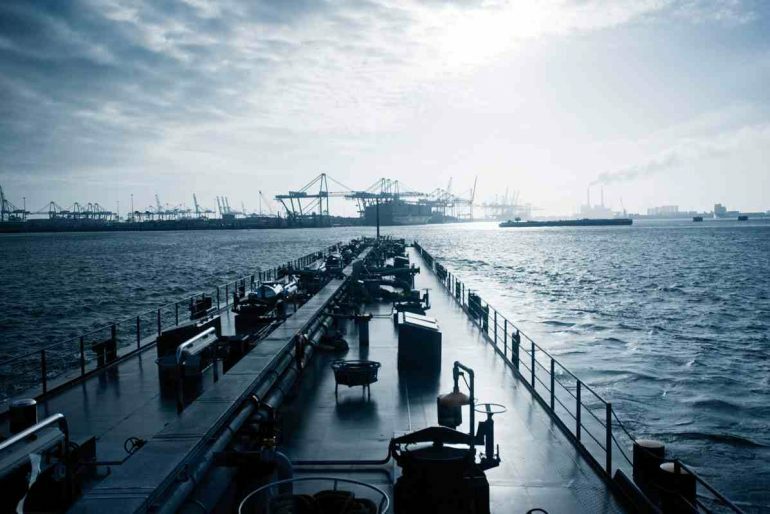 Bunker demand in 2020 will be determined by scrubber usage, fuel availability and the degree of global compliance, writes Tim Smith, director of tanker and energy markets at Maritime Strategies International (MSI). As the 2020 deadline draws ever nearer, some of the smoke is clearing around the options for adoption of scrubber technology and the response of the refining industry to the additional demand. It has been hard to avoid the arguments around the technical, commercial and environmental impact of scrubbers but it in terms of actual installations, MSI expects about 10% of the tanker and bulker fleets (in deadweight terms) to install them. This will be concentrated in the larger segments of these markets with over 20% of VLCCs fitted with scrubbers at the start of 2020, and close to 15% of Capesize vessels. Containerships will also see larger sizes attract scrubber installation – about 15% of +7,600 teu vessels are expected to be scrubber fitted by end-2019. With much lower scrubber penetration in the medium and small containership markets, the proportion of total containership capacity fitted with scrubbers by end 2019 is also expected to be close to 10%. In other commodity shipping sectors, scrubber usage will mirror this pattern, with about 20% of the large (+40,000 cu m) LPG fleet fitted but minimal amounts of smaller tonnage. Cruise ships will see about 40% of the fleet with scrubbers installed by end-2019, the highest proportion of any shipping sector, with roro at 15%. The concentration of scrubber usage in larger segments of main shipping sectors means that even though MSI forecasts about 2,000-2,500 ships to be fitted with scrubbers at the start of 2020, we expect legitimate scrubber fuel oil usage in 2020 to be close to 5-10% of total fuel demand. This is the primary determinant of high sulphur fuel oil use in 2020. Nonetheless, explicit fuel oil use (not including blending for LSFO) is closer to about 17% of total demand, meaning we are still anticipating a significant amount of non-compliance. This is despite the important step in reducing non-compliance implemented in Q4 2018 when the IMO adopted a ban on carriage of high sulphur fuel oil in bunker tanks on ships not fitted with scrubbers. The recent bans on open-loop scrubber usage in China and Singapore add further operational pressure and economic uncertainty on scrubber usage. Even so, specifications and pricing of 2020 compliant fuels remain a source of uncertainty. In 2019 we start to see significant volumes of compliant fuels introduced (likely in Q3/Q4). These are designated as very low sulphur fuel oil (VLSFO), meeting the 0.5% regulation. We expect production of these fuels to be driven by increasing refinery runs, blending (using diesel and high sulphur fuel oil) increased processing of sweet crude and refinery yield switching. Refining capacity additions will help meet the challenges posed by increased diesel demand in 2020 with about 2.5m b/d of crude distillation capacity coming onstream in 2019/20. In some cases, such as Jazan in Saudi Arabia, this will be heavily skewed towards diesel production. Increasing the refining system’s operational utilisation will also provide additional diesel. US refiners have been running at very high rates and have limited spare capacity. China potentially will be able to increase runs; its system has seen consistent oversupply in recent years leading to higher products exports, and is adding large units in 2019. The global refining system is likely to be able to just meet aggregate incremental diesel requirements, but all the necessary levers will need to be pulled to do this. Market conditions for diesel are therefore likely to be tight and the path to absorbing the fuel oil overhang is less clear than the one to sufficient distillate production. Adapting to this new environment is likely to lead to a shift in bunkering locations to diesel-rich regions (e.g. Middle East) as well as redistribution of oil products to meet requirements in diesel-short regions such as Europe. MSI’s forecast fuel price spread through to 2022 shows over the period of history shown, the relative spread of MGO to HSFO has seen a decline. It has typically increased during periods of volatility in the oil market. As we have consistently stressed, the key determinant for shipping fuel costs in 2020 will be the underlying crude price. The collapse in oil prices during Q4 stressed the fragility of this market and further weakness could provide more benign conditions for the switch to compliant (and relatively more expensive) fuel in 2020. Under MSI’s assumptions, we assume stability in crude prices in the $60-70/bbl range. The differential between HSFO and crude drops at the same time reflecting the oversupply in the HSFO market. This does drive a sharp spike in the MGO premium versus HSFO, but in the subsequent years we see this premium decline towards recent levels. Notably, in the context of historical premiums, the spread between MGO and HSFO remains range-bound, albeit considerably higher, in 2020. Although LSFO fuel specifications and prices will become clearer during 2019, we would estimate prices to be in the range of 10% below the MGO proxy shown here.